Indian dairy giant and the makers of the Amul brand, Gujarat Cooperative Milk Marketing Federation, will begin offering some of its products to global buyers. These global buyers will be offered products through an international auction site, starting from next month. R S Sodhi, the Gujarat Cooperative Milk Marketing Federation managing director said, “We will begin selling our SMP (Skimmed Milk Products) and WMP (Whole Milk Powder) products through Global Dairy Trade platform, from June this year. It will provide us direct access to 900 globally big customers and also help fetch better price for our produce”. Sodhi added that the international market for SMP and WMP is improving day by day, while the exports are getting equally lucrative. India will now sell dairy products in countries like US, Europe, Australia and New Zealand, through an international auction route, where the prices are at record highs. 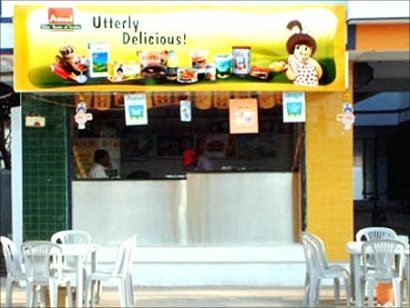 Amul is considered to be one of the most fast moving consumer brands in the country and will now begin competition with international brands. It will also be competing with brands from New Zealand like Fonterra, which owns GDT to sell through the auction route. GDT is considered to be an auction platform for dairy commodities, which are internationally traded.